Are you into road trips? I'll admit...I'm not much of a road tripper. I prefer to get wherever I want to go as quick as possible, and being a city girl has made me hate driving. BUT...the one place that changed my mind about road trips? California. Have you ever seen the California coastline?! It's breathtaking! I really don't think it's fair to the rest of the country that California has that much beauty! It's incredible. Taking a road trip along the California coastline--and, more specifically, along the Pacific Coast Highway--should be on everyone's bucket list. You see beaches, mountains, valleys, cities, vineyards... Ugh! There's everything! If you're looking to do a fun road trip along Highway 1, look no further than this handy travel guide to get you there. I've mapped out an itinerary with all your stops, drive times, as well as provided you with "good to know" information before and during your trip. Buckle up! Here we go! For those of you who are planning your first visit to California, or maybe it's your first time doing the PCH drive, check out these FAQ's about planning your trip. How long should I plan the trip for? How long you plan for the trip is entirely up to you, but I would recommend at least 1 full week if you really want to get the full adventure. Of course, there are people who do it in 5 days, a weekend, or even 2 days, but I want you to have a really special experience with it! You're going to want to relax and enjoy when you can, pull over to see the views, or even spend an extra night in those special cities you fall in love with. Do at least 1 week minimum from start to finish. This is another personal preference. There's really no right or wrong answer for where you start or finish. We personally went from south to north, but I've heard that sometimes the traffic from north to south can be a little less hectic (can't confirm this from my own personal experience though!). You could even look up the price difference of flying into San Diego vs. Santa Ana vs. Los Angeles vs. San Francisco and make your decision that way! For this travel guide, I'll be giving you directions from south to north. How much you budget will be based on the types of accommodations you're wanting to stay in during your trip and the entertainment costs you'll incur (including food). You can find budget friendly hostels or campgrounds along the way, or splurge on luxury 5-star resorts. You can buy groceries along the way and make food on the go, or you can dine at expensive restaurants. You'll also have to account for gas along your trip, so I'd say somewhere between $50-200+ per day depending on your travel style. *PS-If you're a budget conscious traveler, check out this post I did on how to spend $50 a day or less during travel! Yes. Unfortunately, there is no public transportation that will allow you to do this trip, but that's half the fun of it! When you have a car, you get to pull over and enjoy the scenery as much as you want! Can I go alone or should I go with people? Yes, you can absolutely do this road trip alone! However, I will say that having another person or group with you during the road trip makes it a lot more fun. You'll be creating wonderful travel memories together; you can take turns taking pictures for one another; you can split all the travel costs; you can even take turns driving so everyone gets a chance to look out the window. Totally up to you though! I personally loved having Jay by my side through all of it (mainly because I never had to drive... hehehe!) and wouldn't have it any other way. There a plenty of places you can get off and stay around PCH, but I would recommend spending some time in San Diego (or La Jolla) before/after the trip, Orange County (around Laguna Beach or Newport Beach), Los Angeles (around Venice or Santa Monica), Santa Barbara, Big Sur (or Carmel/Monterey for other options), and San Francisco. 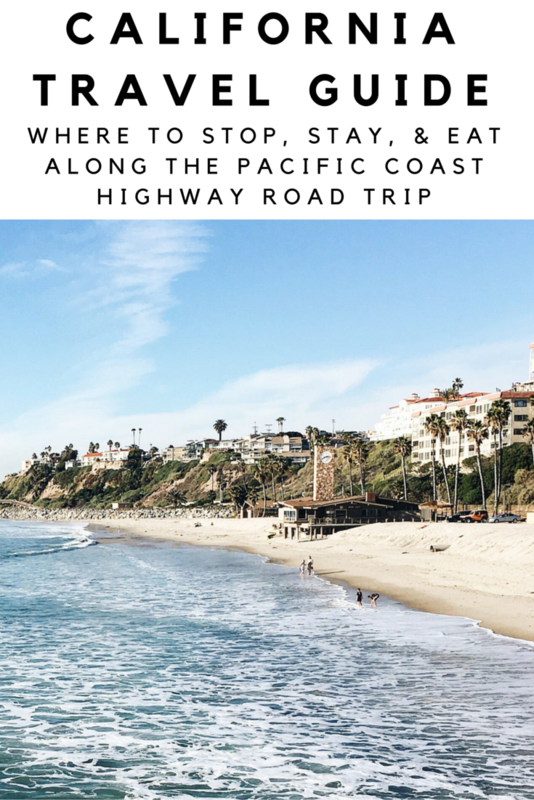 Below you'll find the outlined itinerary we did for our Pacific Coast Highway journey. This itinerary is from south to north (starting in Orange County and ending in San Francisco), but you can easily invert it if you want to travel from north to south. Please keep in mind that all drive times are approximate and that traffic is a real deal in California. Always check your GPS or Google Maps for more accurate times. There will also be areas where you might have to merge onto other freeways besides Highway 1. Ok... Here we go! Fun fact: A lot of people think that PCH goes all the way to San Diego, but it actually ends around Dana Point in the O.C.! 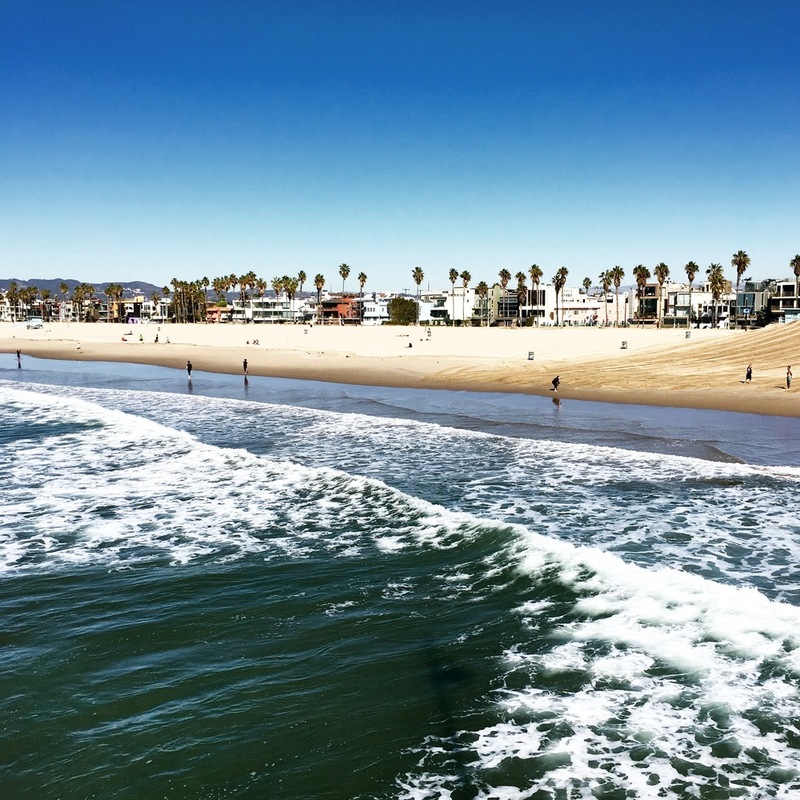 Southern California is a beautiful area filled with beaches, incredible food, surfing, epic coastal views, cute towns, and more. When you're starting out in Orange County, I recommend you visit spots like Laguna Beach and Newport Beach. There are lots of little towns right in a row along the coastline, so maybe pick 1-2 and explore. Use my travel guides for Laguna & Newport to find out what to do/eat while you're there. **If you're starting out here, you can fly into either San Diego and drive up, or fly into Santa Ana and hang around the area to explore before heading north. Also consider stopping by: San Diego, La Jolla, or San Clemente before you start the official Highway 1 Adventure. It's technically not part of the official route, but it's worth exploring if you have time! After spending time in the O.C., your next stop will be Los Angeles. I recommend getting off PCH to see Santa Monica and/or Venice since they are closest to the coastline (and the cutest I.M.O.). Both towns are right next to each other and offer that cool Cali beach vibe that you've probably seen in movies and TV shows. Walk around Main Street, rent a bike to go along the boardwalk, stroll down Abbot Kinney Boulevard, or get something to eat along the water. Use my travel guide to Venice to see what you can do/eat while you're there. Santa Barbara might be my favorite city in all of California (it's a toss up between this and San Francisco). I guarantee you'll fall in love the minute you arrive to this "American Riviera," as the locals call it. There's endless Spanish-style architecture throughout the city, incredible places to eat, wonderful beaches, and tons of culture to explore and experience. See my travel guide to Santa Barbara for things to do, places to stay, or where to eat when you pass through. Also consider stopping by: Montecito, Summerland, or Solvang. Solvang is a little off the path of Highway 1, but it is such a gorgeous, little town that is worth exploring. You can even stay over at this ranch resort that's like a luxury camp for adults! After departing Santa Barbara, the next area you might want to stop in is San Luis Obispo. The town of SLO has a super cute and trendy downtown area, making it a great stop to get out for a bite to eat or to walk around. It's a lovely town that you'll enjoy seeing or driving through. Just before you get to Big Sur is the town of San Simeon. I definitely recommend getting off here to explore Hearst Castle. It's a remarkable hilltop mansion that was once the home of media mogul, William Randolph Hearst. The castle is a must-see along the Pacific Coast Highway road trip. 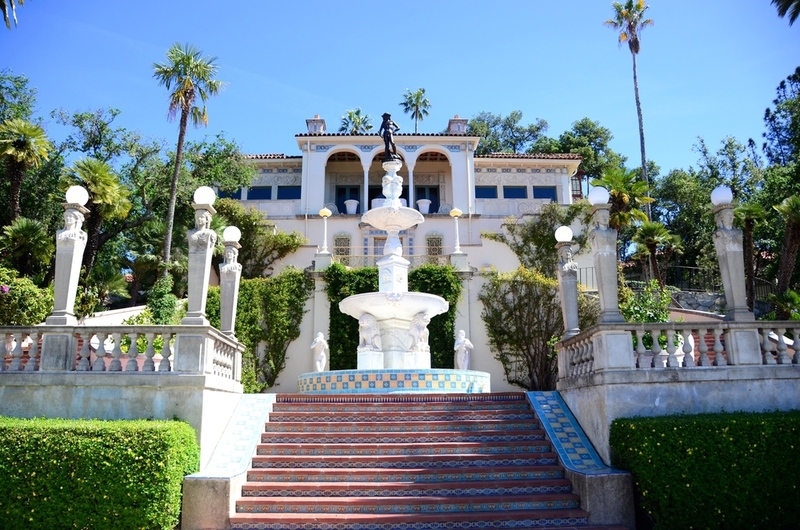 Check out this post on Hearst Castle to see all the details of booking your visit there. Also consider stopping by: Piedras Blancas Elephant Seal Rookery is a great spot to pull over and get a glimpse of the elephant seals along the beach! Big Sur is a must-see destination that should be on everyone's bucket list. The natural beauty of this area is one you'll never forget and will absolutely take your breath away. Visit the epic waterfalls of McWay Falls, hike through one of the many state parks, or snap a picture near the historic Bixby Bridge. Check out this full travel guide to Big Sur for more details on what to do, where to stay, and where to eat there. Just north of Big Sur is the charming little town of Carmel-by-the-Sea. The quaint downtown area and lovely houses around the city makes you feel like you've stepped into some sort of West Coast fairytale. Stop around here to walk around downtown or grab something to eat. It's such a cute stop on your way up the coast. This is also around the area of the famous Pebble Beach golf course! We've reached the final city along our California road trip: Good 'ol San Francisco. The city of San Francisco is such a unique and magnificent destination. You'll surely fall in love with it the minute you arrive. Here you've got iconic landmarks, sprawling city views, one-of-a-kind street art, world class dining, and so much more. I recommend staying a few days in SF once you arrive so you can truly enjoy and experience the city. Check out my detailed city guide to San Francisco for more tips, where to stay, and things to do while you're there! Have you ever done the California Road Trip along Pacific Coast Highway? -or- Are you going soon? Comment below with more tips or suggestions! PS--Don't leave for the road trip without picking up some new travel gear! Check out my favorite travel things here!